Many business owners believe the act of selling their business is similar to passing the baton in a 400 metre relay: once the pass is made then you’re done and you get to relax. In reality, buyers may often insist that you stay on for a handover period – that could be anywhere from five days to two years – during which time you may be required to continue to work in the business to help the buyer make the most of the investment they have made. At some point, all buyers will ask you, often quite casually, “Why do you want to sell your business?” However beware, as these simple words often derail more deals than any others. Buyers ask THE question to understand how likely and, more importantly willing, you are to stay on after sale or if you already mentally are heading out the door. Obviously you don’t want to lie, but there is a right and wrong way to answer THE question. Answers like “I want to slow down a bit” or “I want to travel” or “we’ve got a baby on the way and I want to spend more time at home” communicate to a potential buyer that you plan on winding down when they take over. However, what they want to hear is your intention to help them realise the potential locked inside your business. The potential you are probably promising them is there! Practice your answer to THE question, so it is a natural response when you are inevitably asked THE question by a potential buyer. 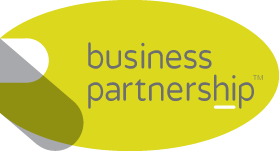 Paul Dodgshon is a Regional Partner in The Business Partnership, who have been helping business owners sell their businesses since 1979. You can learn more about Paul and The Business Partnership here.